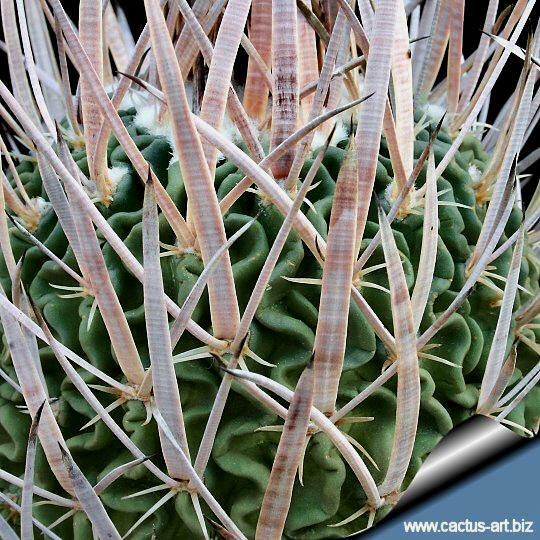 E. obvallatus (caespitosus) An old mature specimen with beautiful spines. Spines: there are 3 major spines on the upper part of the areoles: two are conical and curved upward while the central spine is flattened, yellowish or pinkish , about 2 (4) cm long and 2 (4) mm wide. 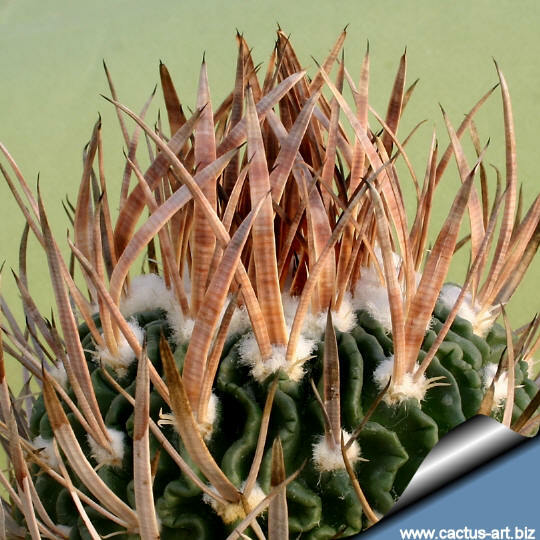 On the older part of the plant there are four small white radial spines, and sometime another central spine appears below the others, pointing downward; it is curved, flat, and the same length as the upper central spine. Flowers: 1-2 cm long can be up to 3-4cm in diameter. E. obvallatus has white or pale yellow flowers with pink mid-veins and a greenish base.. 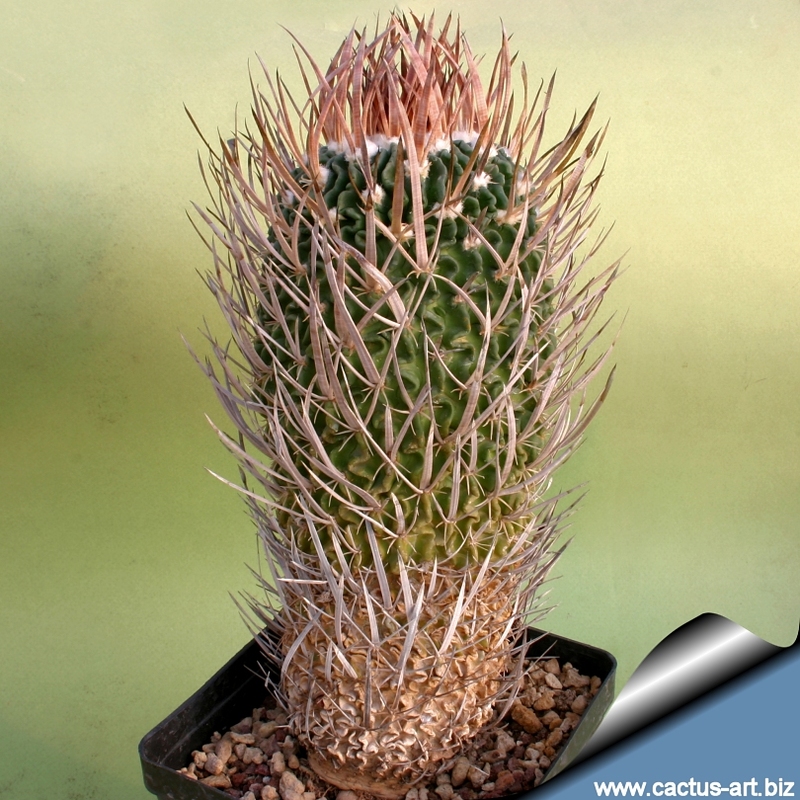 The plants known as Stenocactus pentacanthus have long lasting bluish flowers in early spring.